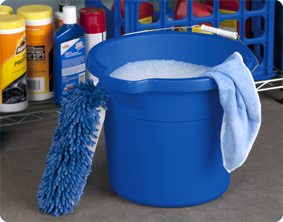 Fill, pour, and clean with the 18 Quart Spout Pail. It is ideal for all types of household chores and features a metal handle with a comfortable plastic hand grip. The easy pour spout and the hand grip on the bottom of the pail allow for smooth controlled pouring. The textured finish of the pail is accented by a polished stripe on the interior making the Standard and Metric volume marks easier to read. 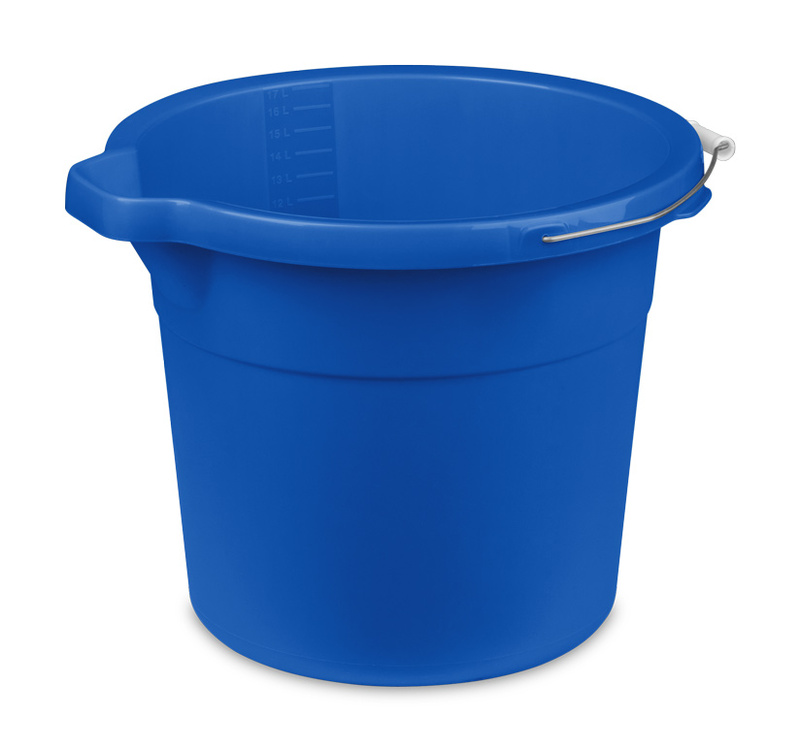 This spout pail is ideal for a variety of basic household needs and is also great for cleaning projects or for use in mopping. The overall dimensions of this item are 14 3/4" L x 13 3/4" W x 11 5/8" H.
Overall Assembled Size: 14 3/4" x 13 3/4" x 11 5/8"
Ideal for all types of household chores, from mopping the floor to washing the car.